Who likes new school supplies more than kids? The answer might just be our teachers! Below you’ll find a list of what students will need for their classes at Athlos Leadership Academy. We ask that all students bring all of their supplies on their first day of school and thereafter to ensure that they are prepared for class. 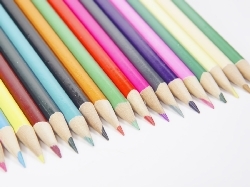 Pre-Kindergarten through fifth grade students may keep their supplies in their classrooms. Sixth through 8th grade students will have a homeroom locker and will then carry their supplies from class to class. Any additional required supplies will be communicated by classroom teachers. Please note that students in grades 4th through 8th will be required to purchase and use an Athlos Leadership Academy planner. Planners may be purchased at the Welcome Picnic this fall or on the first day of school. All students must have their planners on their first day of class. The cost is $5. Students in 4th and 5th will be required to purchase a $5 recorder for music class. Recorders must be purchased from Athlos as all student recorders must be the same for group music instruction. Recorders can be purchased in the fall. We are pleased to announce that our school is participating in the School Tool Box program. Avoid the cost, time, and inconvenience of back to school shopping. In addition, every order made through School Tool Box will provide a meal to a starving child through STB’s One Box, One Meal, Two Kidsprogram in partnership with the Feed My Starving Children organization. There will be times during the year when classrooms are in need of item donations for classroom projects and science labs (sandpaper, cardboard, spring water, etc.). Needs will be communicated through the classroom teachers and through the website. Thank you for supporting our classrooms! In order to promote the safety of those with food allergies, all ALA families wishing to celebrate a student's birthday, personal achievement or other special occasion may only bring in non-food items to share with classrooms. (Pencils, stickers, etc.) Families and students may not bring food items to share with the class. Please contact the classroom teacher at least 24 hours prior to the day you wish to bring the non-food treats so that the classroom teacher may plan the daily schedule accordingly for the celebration. Balloons, signs, flowers, and singing messages will not be allowed at Athlos Leadership Academy. The only food items allowed on campus by students and families are those items included in a student's lunch or snack.